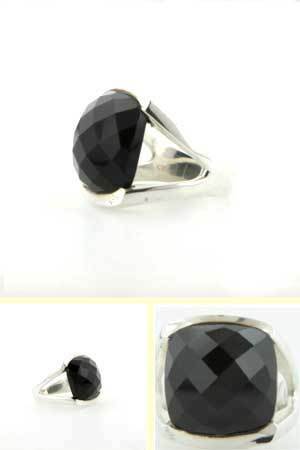 Square black onyx silver ring. 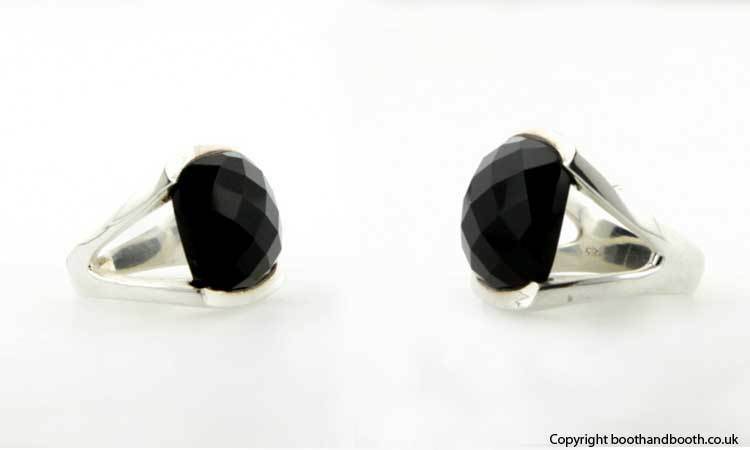 This fabulous black onyx ring looks beautiful on the finger. 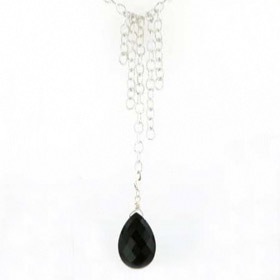 The square black onyx gemstone is cushion checker cut and glitters as the light plays over the many facets. 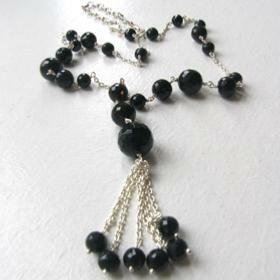 A fabulous classic black and silver combination. The sterling silver band is plain. This is a large ring and comfortable to wear. 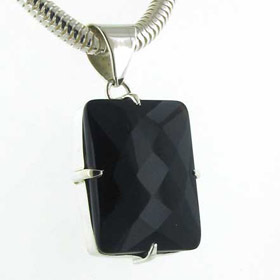 See our checker cut black onyx pendants for a coordinating piece.